Discussion in 'Order of the Eastern Star' started by MasonicAdept, Sep 22, 2016. 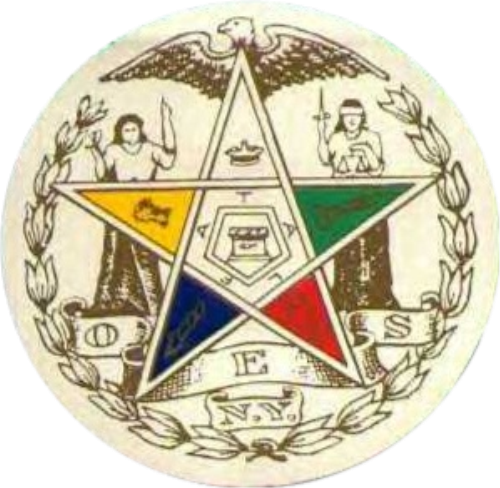 The Grand Chapter of OES for the State of New York is one of the most illustrious jurisdictions for OES history in America. Their archives are filled with rare Eastern Star treasures that are protected ardently by the Grand Chapter. So, zealous of the history, the Grand Chapter chose to invert the OES emblem right side up to distinguish it from every other Jurisdiction. They also do not have membership in the General Grand Chapter OES. The reason being is connected to the reason they chose to invert their emblem. In another thread u said they dont have membership...now they do? No, they do not have membership in the General Grand Chapter. That was a mistake in typing which has been edited. The Grand Chapter of NY OES, does not have membership in the General Grand Chapter. "They also do not have membership in the General Grand Chapter OES. The reason being is connected to the reason they chose to invert their emblem." This is faulty logic. As mentioned in my response to the other thread, the decision to invert the emblem is not the reason they chose not to have membership in General Grand. Also, the emblem was not always inverted. There are early NY rituals with the point down (pre 1913-ish). MzIbDdHjDl44wxnDbdmTM-A by ERHansen posted Oct 11, 2018 at 1:10 PM[/GALLERY]"They also do not have membership in the General Grand Chapter OES. The reason being is connected to the reason they chose to invert their emblem." What I said was that after their decision to NOT join the GGC, the Star was inverted for that purpose of disctinguishing themselves from other OES jurisdictions who were a part of the GGC, hence why NY is the ONLY OES Jurisdiction that is not under the GGC and the ONLY one that has the Star inverted. So, I know that the star wasn't always inverted and I have GGC proceedings that has NY in them, but they finally decided not to take part. 1. The purchase of the copyright for the Macoy ritual and the costs to print it. If NY was to join GGC, the change in ritual would have been costly. (GGC countered they would throw money towards the printing/distribution of rituals to NY chapters). 2. NY OES admitted Master Masons to meetings, obligated them, and allowed them to witness the work. They did not need to be members of the order like GGC. 3. Floral Ceremony was considered part of the regular work of NY OES. 4. Some NY OES Chapters worked from German rituals. Also, NY was not the only jurisdiction to ever debate having 1 point up. It looks like a few did in the early 1900s and even General Grand debated that. Perhaps it was to distinguish itself, but that didn't seem to be much of a problem even after the attempt in 1898 to reconcile. I would think officially changing it might have more to do with copyrights, trademarking or incorporation. I understand all that you have posted.